Being able to always care for your loved ones isn’t always a plausible idea. You may have too many other things going on and can’t care for them the way you want or should. You love them, so it’s only natural to want to protect them and make sure they’re comfortable. A nursing home may be the best option for them. However, there are things to watch out for when considering a nursing home. Negligence cases have become more and more common and it’s not something you want to have happen or deal with for your loved ones. If someone you know and love has been neglected, contact a Houston negligence attorney to discuss your case. Some workers will belittle residents when they don’t eat or make a mess in a diaper or a bed. This type of abuse can cause anxiety and a feeling of withdrawal in the residents. They might not want to talk to visitors, even if it is family or close friends. Workers could refuse to feed a resident or use restraints to keep that person in place. Some may hit residents and leave bruises or marks on their arms or legs, using anything from a brush to a belt, even a hand or fist. Though we don’t want to even consider this as an option, it does happen with residents in nursing homes. If a resident isn’t able to easily get out of bed, workers may use that to their advantage to find pleasure. Bruising around the mouth or on their arms or legs might be a sign of sexual abuse. Residents might also flinch when touched. 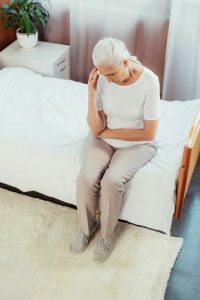 Any type of nursing home negligence is not acceptable and claims should be taken immediately to a Houston negligence attorney. The filing of such claims can be confusing and hard to handle on your own. An attorney can help guide you through the paperwork and deadlines that must be met. Contact the Law Office of D’Ann Hinkle to schedule your consultation and discuss the next step you should take for your case if your loved one suffered from nursing home negligence.